Who was Malinche? (Malinalli) / Dona Marina / La Malinche) What did she look like? How did she act? She was most definitely an Amerindian Nahuatl (what we call Aztec) girl. She was probably born on May 12, 1502. If in fact her given name was Malinalli, that name signified her birth day on the Aztec calendar, hence May 12, 1502, which would have made her 16 years old when she met Cortes in March 1519. Sounds like Diaz was a bit smitten with Malinche! 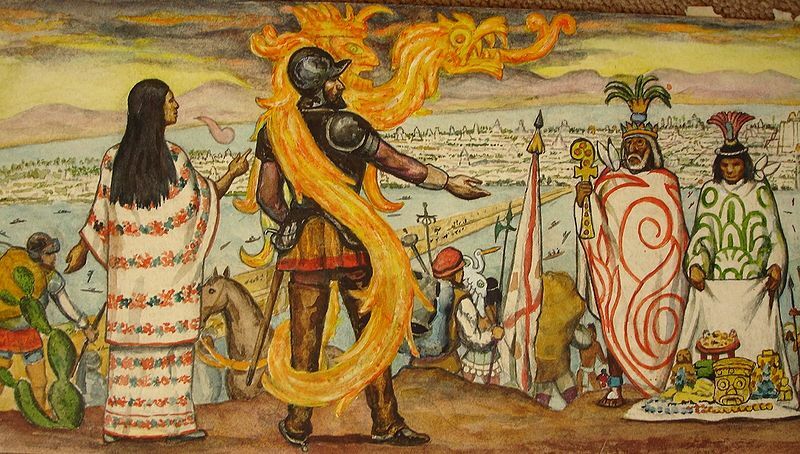 But Hernando Cortes himself took her for his mistress so we can only assume Malinche must have been attractive and certainly not afraid of expressing her will and opinion.